Building a solid foundation for creativity plays an essential role in child development. It promotes critical thinking abilities, feeds into recognizing self-worth and teaches decision-making skills. 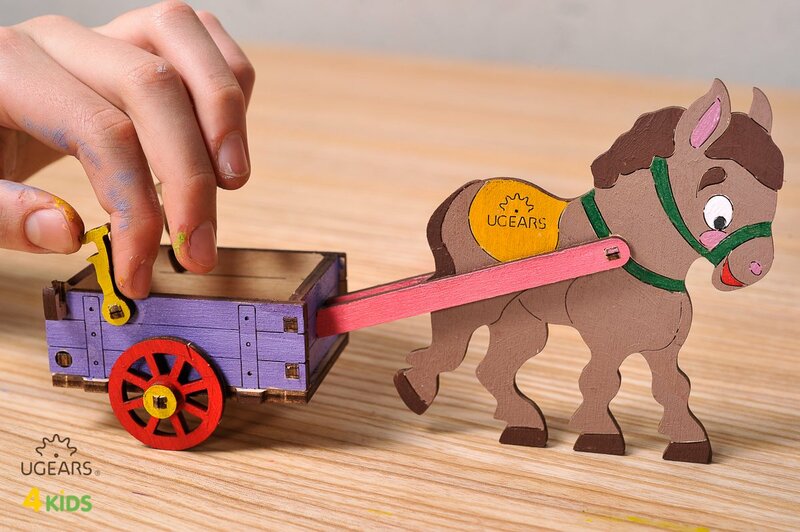 With Ugears Build and Color models not only you’ll be able to accomplish these tasks, you also provide your child with an opportunity to spend quality time together with their parents. Team Ugears introduces a large selection of Build and Color sets for children (buy here). Each model is made with natural organic wood. The sets are safe for kids to play! The sets contribute to intellectual, emotional and motor skills development of your child! The sets offer a great opportunity for your family to spend fun time together! Working on assembly of such sets is an interesting activity by itself. Putting parts and elements together requires no cutting or use of glue. 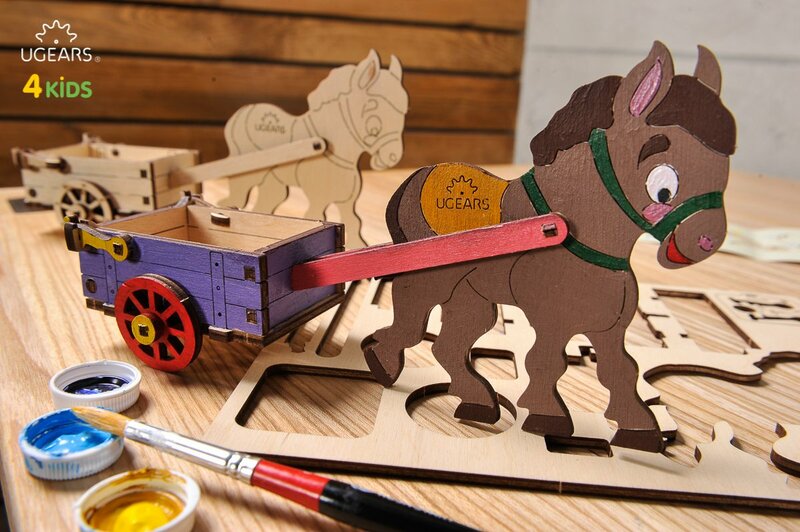 Right before your child’s eyes wooden pieces evolve into nifty structures: rockets, motorcycles, aircrafts or figurines of playful animals. Although pre-cut and ready for assembly, these sets will help advance your child’s imagination because he can choose paint, tools and color design of his model all by himself! Such activity captivates children and sets the positive environment for creativity development. Parents too, will benefit as they spend time together with their children not only assisting with an assembly and directions, but also in discovering kids’ growing potential in art, engineering and logical thinking. Perhaps, some of your heard about “color symbolism psychology” or “visual perception psychology” theories. Based on studies conducted by a team of psychologists from US and Europe, these theories affirm that choosing certain colors and color schemes reflects on individual psychological development of both, children and adults. Moreover, using and applying colors in plays reinforces child’s perception of complex processes such as following the instructions, maintaining order of things, improves precision and motor skills. We offer a variety of Build and Color sets for children of 4-5 years old. Simply choose your set and get ready for a fun-filled and productive weekend with your kids!